Dr. Charles Mok received his medical degree from Chicago College of Osteopathic Medicine, Chicago, Illinois in 1989. He completed his medical residency at Mount Clemens General Hospital, Mt. Clemens, Michigan. 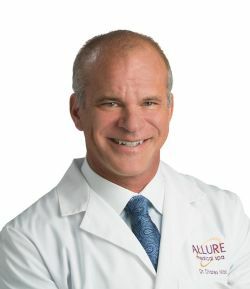 He has worked with laser manufacturing companies to improve their technologies; he has performed clinical research studies and has taught physicians from numerous other states. His professionalism and personal attention to detail have contributed to the success of one of the first medical spas in Michigan.